HomeblogHTML5 VS Apps, Which will win The Battle? As the standard evolves, HTML5 is often positioned as a ‘white knight’ coming to save us all from the complexity and perils of native client development. To reach your customers, partners and employees and create a truly engaging and intimate mobile app experience, all you need is a handful of web developers and a little bit of time. “Write Once, Run Anywhere” is the rallying cry around HTML5. Time to snap out of the dream, people. That's just not the reality. It’s now becoming a regular occurrence that companies, big and small, are realizing that their pure HTML5 strategy just won’t work. In June 2012, we read that Facebook is scrapping its HTML5 app due to the horrendous performance and negative user sentiment, and is rebuilding it natively. Just this week we saw GoKo back-track on their very public promotion of the HTML5-based Dominion card game after a similar failure. Zynga and other gaming companies continue to struggle to build compelling mobile games on their oft-touted HTML5-based platforms. 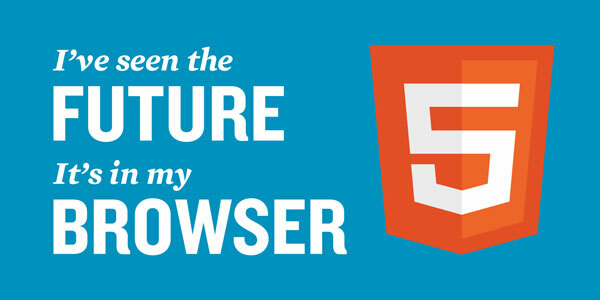 In general, the overall adoption of HTML5 among mobile apps pales in comparison to native. Using back of the envelope estimations, we reckon HTML5 represents a mere 6% of the total number of all mobile apps. In fact, there are many that question whether it will ever truly deliver on its promise and become more mainstream, even several years down the road. HTML5 is a very viable solution for certain apps such as forms-based apps, mapping apps and information/content-driven apps, and they all perform well. However as the need for interactivity with either the end user or the device increases, HTML5 apps quickly become unusable. They lack the native calls and native performance of iOS or Android apps, worse yet, they often feel like a static website. High cross-platform deployment costs due to device and browser fragmentation Slow speed of standards definition from the W3C and the subsequent implementation by the OS vendors Security risks regarding the application source code and data. At Appcelerator we believe that organizations will need to build both HTML5 and native apps, depending on the requirements of the audience and the app functionality. Fortunately, Appcelerator Titanium enables fully native, cross-device development from a single codebase for iOS, Android, as well as HTML5 mobile web apps.